From May 29-31, 2018 all badged attendees of the Inside/Outside Innovation Summit can enjoy free co-working at FUSE. 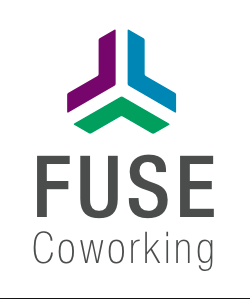 Fuse Coworking houses a variety of different companies, from solopreneurs to small teams. At Fuse Coworking, you'll find the comforts of home and shop with all of the benefits of working in an office setting. Just show your Inside/Outside Innovation Summit badge and check it out.